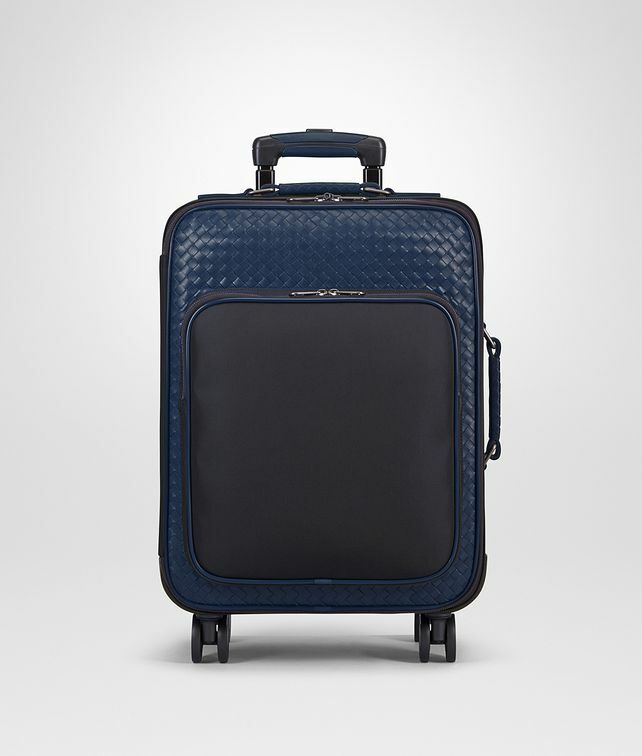 Designed to meet the needs of frequent travellers, this ample cabin trolley is crafted from lightweight hi-tech Oxford canvas and Intrecciato calf leather. The 4 wheels provide 360° rotation, and the multistage Lock-it retractable handle, side and top handles make it easy to carry. The organised interior is fitted with a zipped front section, adjustable straps to keep your clothes wrinkle-free and a detachable internal pouch for keeping smaller objects and valuables in order. Height: 55 cm | 21.6"
Depth: 22 cm | 8.6"